If the ParentSquare system does not recognize your email or cell phone number, and you are signing up for the first time, check your email account for an activation email from ParentSquare. (Be sure to check your junk mail folder if it does not appear in your inbox) If you have not received an email, please sign up for a ParentSquare account on the log in page. 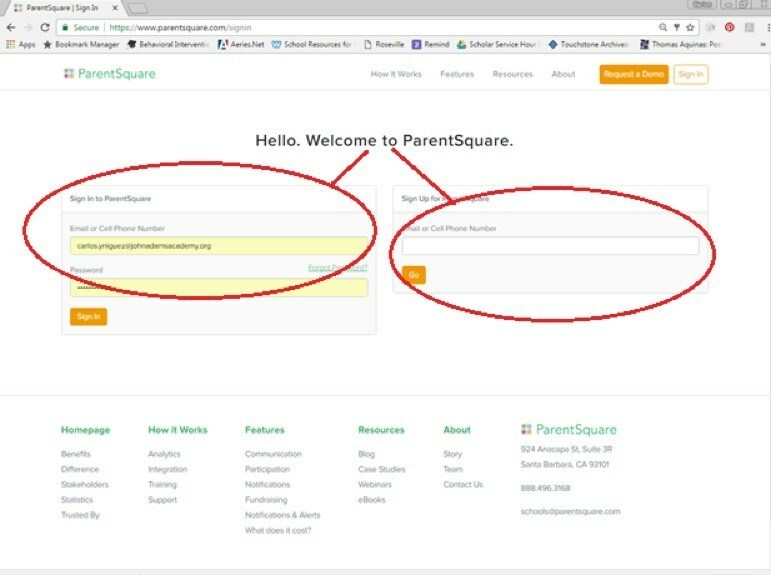 To see a helpful video on how to get started using ParentSquare, click HERE. Para obtener más información sobre cómo empezar con ParentSquare en español, haga clic AQUI.